This post is sponsored by T-Mobile. All thoughts and opinions remain my own. Military families are always traveling or moving to the next city, country, or continent. My military family has moved five times in the last ten years. In the stress of all of the moving (as well as the deployments), the upside is that we make connections and new relationships wherever we go. 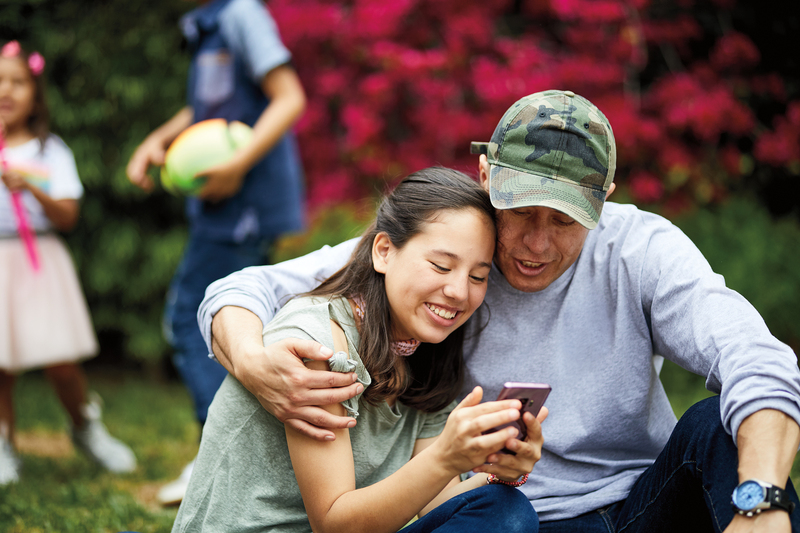 We may not always be with our loved ones; be it family, friends, or spouse, but staying connected is crucial and thankfully, staying connected has never been easier. 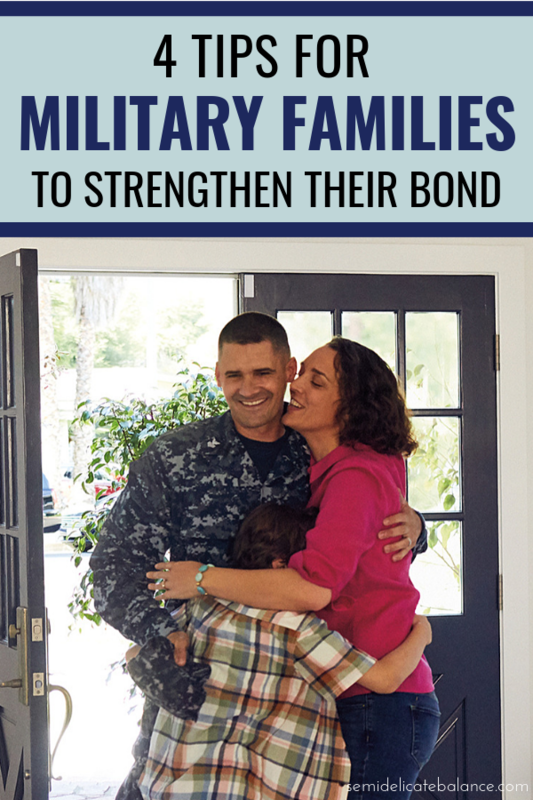 Check out the tips below on how to strengthen your bond as a military family. Whether you’re communicating with a deployed spouse or old friends, or faraway family, this is the time to talk about all of the details (time permitting). While it may seem mundane to share the small details, it helps keep up your connection with your loved ones. Send a video of a funny moment. Send a snap of the beautiful view you’re seeing. Talk about what made you sad the other day. These little moments add up to help your loved one get a look into your life. They’ll feel closer to you even though they are far away. Sharing the “boring” details with my deployed husband actually inspired me to be more “interesting”. 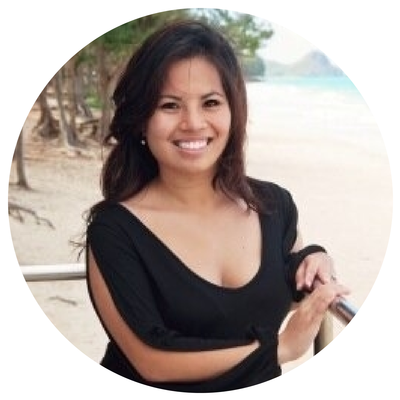 I realized that I was in the “deployment funk” and I was doing the same things everyday. When I realized I kept telling him the same story, that’s when I decided to be more adventurous and purposefully put myself out there to try something new. It improved my life for the better and got us through deployment way faster. In this day and age, everyone texts or updates social media way more than they talk on the phone. If it’s possible, then try as much as you can to use the phone or video chat with your loved one. Hearing their voice can be calming and you get to hear or see their reactions in real time. This is especially important if you have kids. I try to get my kids to facetime or call my husband while he’s deployed. We do the same for our families back home. Hearing a voice gives you the intimacy of a real conversation. While talking on the phone, you reduce the chance of misunderstanding. You don’t “wonder if they got your text”. Well, to top off that off, T-Mobile just announced a trade in deal on all the new 2018 smartphones from LG, Samsung and Apple – including the Apple iPhone XS. iPhone XS Max and iPhone XR. You can get the new iPhone XR for just $10/month when you trade in your old phone. And when you combine the trade in deal with T-Mobile ONE Military you can get four lines of unlimited AND four iPhone XR for just $35/month a line. It’s a crazy good offer. It’s not only family that needs a strong bong. Your relationships with the ones you’ve made at each duty station matter as well. People in the military community should watch out for each other, you’ve never know if your paths will cross again. When you get to your destination thousands of miles away, get out your phone and find a way to communicate. You can send texts, create a group chat, or create your own hashtag. You can also send cards, letters, or care packages as a way to connect. We are still great friends with another military family we’ve met along our journey. From birthday parties to christenings, we’ve been a huge part of each other’s lives. I considered them family more than friends. Military life may taketh away, but it also gives a lot. Relationships are crucial to happiness in life, keep in touch! Staying in touch is easy in the 21st century. There are multiple social media platforms with no boundary limitations. If you have internet access, there is no excuse without sending a photo, video, or simple message to your loved one. You might only need to sacrifice part of your sleep if you are in a different time zone. Of course, your loved one is worth the sacrifice. Wifi is a must but if you’re on the go always make sure you have a good data plan with amazing coverage. I can’t tell you the number of times my military husband and I were video chatting with a bad connection. It was frustrating and it needed to change. I know some people worry that T-Mobile’s network isn’t as great but they’ve really improved their network over the last few years and have more than doubled their high-speed network coverage since 2015 are now have the fastest LTE network in the US. If you need a company with great data plans, T-Mobile is the leader in mobile service in the country. They are also committed to America’s veterans and have several programs to help serve those who served our country and that’s something worth supporting. No matter how long you have been with your family or romantic partner, distance strains relationships. Keeping in touch helps in maintaining relationships. It strengthens bond. No doubt, long distance relationships are a challenge but not impossible. It only becomes an issue if you don’t communicate.